Today guest blogger, Scott, looks at the new Dynamic Dining option from Royal Caribbean and what impact it may well have on his Anthem of the Seas cruise in 2015. Royal Caribbean’s announcement earlier this week that their new Quantum ll class ships, Quantum of the Seas, Anthem of the Seas and the third as yet unnamed ship will feature a revolutionary new dining experience known as ‘Dynamic Dining’ came as something of a surprise to me. I’ve been so excited about the new class of ship from learning about it a couple of years ago when it was known simply as Project Sunshine and have avidly followed every snippet of news about it since then. I was even lucky enough to go to the UK press conference announcing that Anthem would be based in Southampton. This just roused my excitement further and solidified my intent to be among the first to sail on her when she arrives in 2015. When she went on sale to Crown and Anchor loyalty club members, I jumped straight in and booked, knowing that it’d be well worth booking early to ensure my place on such a revolutionary and exciting new ship. However, I didn’t see the news of this quantum leap (pun intended) in the approach to dining coming. Maybe I should have. When I booked there was no option to select a dining sitting. The only option was freedom dining. The travel agent assured me that it was probably just a temporary booking issue that would soon be resolved and we would be able to select our preferred dining sitting later. I wouldn’t say I’m a traditional cruiser by any means. I wholeheartedly love the RCI product and usually I like the fact they offer a modern twist on cruising with some exciting and lively entertainment options like the surf simulators or the climbing walls and on the new ships the bumper cars, viewing pods and sky diving simulator. But I do also like some of the more traditional features that can still be found on RCI ships; the good old fashioned wrap around promenade, shuffleboard and the gloriously glamorous formal nights in stunningly elegant open, multi-deck main dining rooms. ‘Dynamic Dining’ will see RCI adopting a modern approach to dining, akin to that offered by rivals NCL with their Freestyle Cruising. Instead of a main dining room there will be four complimentary themed restaurants. If you are lucky enough to be a suite guest, you will also have a fifth complimentary option. There will be no more set dining times and you have the freedom to dine where you like and when you like. The downside to this, in my mind, is that you will be less likely to build such a rapport with your dining staff, unless you go back to the same restaurant often and get the same table. Also, there will be no more set formal nights. One of the restaurants is billed as being a formal restaurant where formal dress will be required every night, so you can effectively choose your own formal night instead. The four/five complimentary main restaurants are all going to be themed. For example, one offers spicy and oriental food and another provides traditional American dishes. The menus in each restaurant, however, will remain the same every night. 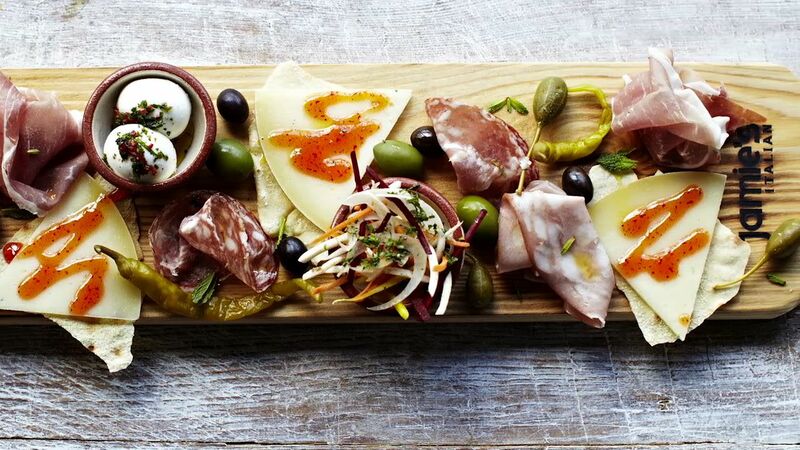 There will also be a wealth of other casual eateries such as a hot dog ‘truck’ and the usual pizzeria and alongside them, many premium dining experiences, the most on any RCI ship yet, including a signature Jamie Oliver Italian restaurant. The menus are available to view on RCI’s website already and the dishes look amazing – if you have a wide taste in food. One option that was always offered in the main dining room that will be no more though, is the choice for a simple meal, such as a plain chicken breast or a basic beef dish. If you have a person in your party who, say, can’t eat anything spicy or with garlic in it, you are going to be severely restricted in your choice of dinner venue. Do you then eat separately, or do you forego the more flamboyant meals to eat together in the American restaurant or buffet every night?! With the menu not changing either, if you end up with only one restaurant as an option you are going to get very bored of the few suitable choices on offer. I realise that there will be less people with such a restricted palette than those with more adventurous tastes, but I am certain I am not alone in being in a group where several people will have their choices severely limited by this move to informal themed dining. It may be that they will offer plain choices in each restaurant too and Adam Goldstein (RCI Chairman) did allude to this in a video conference, but the menus do not currently reflect this and the question I posed on a live forum on launch night didn’t get the same answer. I’m also a little concerned over the logistics of 4000 people trying to arrange their dynamic dining. Apparently you will be able to book in advance and use the pre-cruise planning facilities to do so. That’s great and if you have a particular preference (or limitation) you can make sure you get the table you want, in the restaurant you want, at the time you want…. if you can choose what you want to eat well in advance, that is! I myself struggle on a day to day basis to choose what I want to eat let alone choosing months in advance! The bookings will be flexible and can be changed once onboard of course, but realistically with 4000 people scrabbling for bookings, the reality will probably be that you may not always get your preferred option. Apparently it sounds as though there will be an app that you will be able to use when onboard to book your dining venue, so that may make the process a bit easier for passengers with smart phone technology at their disposal. On the live forum on launch night I saw many people embracing the idea of this new style of dining. However, there were some genuine concerns being voiced by quite a few people. Some were concerned about food intolerances and having to deal with multiple staff in different restaurants, whereas under the current fixed dining system it was easy as one person took care of their needs. Others, like me, would miss the regular contact with their own table staff and some would be restricted by the adventurous menus. 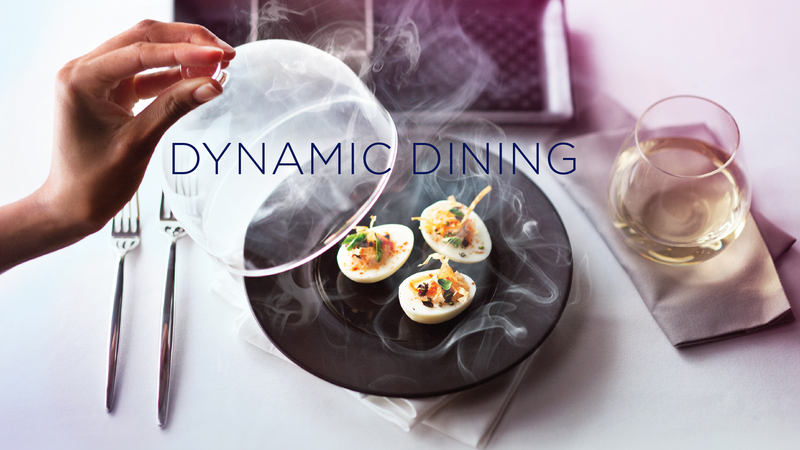 RCI are definitely making a steep change with the introduction of ‘Dynamic Dining’. 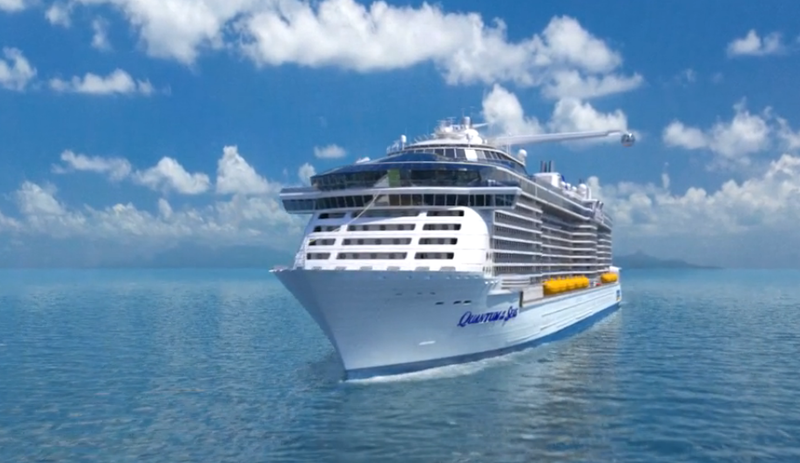 It is sure to upset some of their customers, but with their mission seemingly to attract new, younger, family cruisers by providing modern, ground-breaking facilities and options, they will probably still gain more than they lose and for most of their target demographic, it is certain to be a sure fire hit. 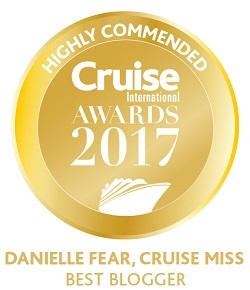 I do have my reservations….no not in the restaurants, well not yet anyway, but I will have to get on the pre-cruise planner as soon as I can to make sure I get at least a couple of nights booked in the formal restaurant so we have an excuse to dress up. I’m not sure how I’m going to get to eat in the oriental one though without abandoning my wife as she just doesn’t do spicy! She may just have to sit and watch me eat and then we’ll go to the buffet afterwards. For me, ‘Dynamic Dining’ won’t be ideal, but I am prepared to embrace it and give it a go. If it serves up what RCI promises, ‘the flexibility to shape my own culinary journey onboard’, maybe they’ll win me over….just so long as I get at least one curry night somehow!!! 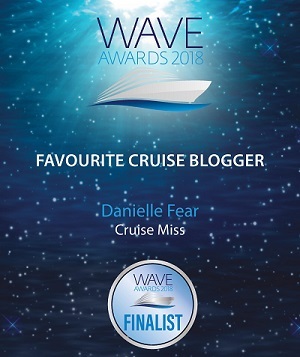 As a single passenger..with over 65 cruises… I look forward to meeting my table guests, which I hope that every night will bring laughter.. when I heard of this “Dynamic dining”, whilst booking I was horrified…. no formal, and rushing around to different restaurants each night..not booked in advance…not knowing where or who would be on your table, what a predicted nightmare would then ensue.!!.. the reason I like traditional dining is you know what the menu is before dining each night, and who you are to be seated with, you know your table guests and waiters, and it is a calm experience. Dynamic will be a a total dis-organised mess.. like NCL, you wait for a table for maybe 40 mins, receive a electronic buzzer then rush to sit with completely different strangers every night.. it is not elegant or pleasant! I enjoy the formal nights, and pre cocktail drinks, then onto the table for a happy relaxed meal, hopefully with a lot of laughs from your fellow guests and waiters. I nearly cancelled the cruise coming up In May 22nd and would have lost my whole payment, when I was advised that the traditional dining was going to be reinstated.. wake up Royal Carribean .. its the customers that make the ships profits high, drinks etc and we pay the gratuities to the waiters, who work very hard for little wages… without the passengers who like the traditional idea, it would become a ghost ship sailing with sales down….not fully accomodated.. please always remember the passengers views…. before re thinking or restructuring anything to do with dining. I know that I would not sail with RC ever again. There are so many reasons why dynamic dining isn’t going to work for Royal Caribbean..
Of course dynamic dining will appeal to some. Reading the forums, cruising ships and asking people it’s patently obvious that far more don’t like it than do. Expect at least a partial reversal at some point in the future. 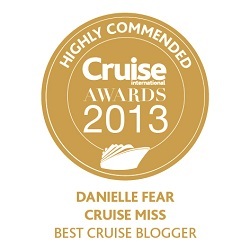 Royal Caribbean you’be been warned!! Great write up. I agree that dynamic dining is a bold move by Royal Caribbean and there’s plenty of people who are for and against it. While I will miss the MDR experience, I think this is a positive move forward and have faith in Royal Caribbean that they will do this right.